Whether you want to record a game video to show it to new gamers who want to learn the game by watching tutorial videos or you have another reason to record the screen when playing a video game, you need a game recording software. The good news is that you will find tons of free apps that record the screen for you. Some of them allow you to upload your recorded video to YouTube and other social media websites while others go even a step further to offer video editing features after you have completed a recording. With so many free and paid game recording software available for download, it might take you a long time before you finally decide your favorite app. To avoid going through every other program, try only the best game recording software programs in the list below. 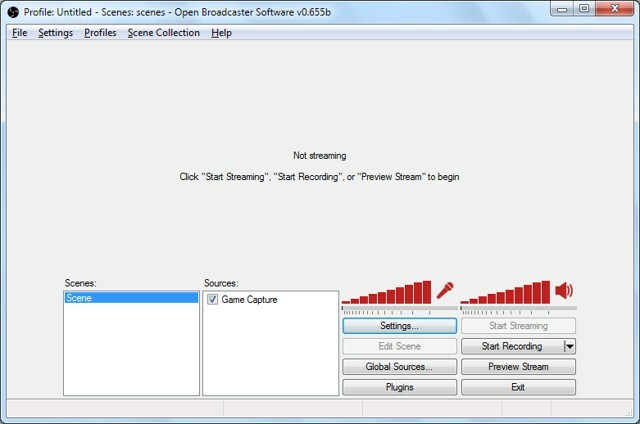 When you want to record game videos on Windows or Mac without having to buy an exclusive software, the first option to try is Open Broadcaster Software. It’s free and open source so you can even change the code to suite your unique needs. The program comes with a simple interface out-of-the-box so you can get started within a minute of installing this app. It’s a lightweight application, which means it won’t eat resources on your PC. But being simple doesn’t mean the recorder lacks any customization options. You can change all sorts of settings related to recording. If you are someone who wants to keep it simple, then just start recording without ever worrying about the advanced options. Using Open Broadcaster, you can record video and broadcast it to your favorite website. The list of websites includes YouTube and Twitch and it just keeps expanding. So, expect to see all the popular gaming websites being supported soon. If you are looking for the best game recording software with professional features and support, then look no further. Action! is the ultimate video recording app that can record high quality video without causing your CPU to hit the panic button. The software is a paid option, but does offer free trial option as well. Action! has plenty of features to provide value for money. For example, it has GPU acceleration technology that improves resource management as well as delivers better frame rate when recording videos. You can also add live audio to your video, which is something many free recording software don’t offer. It is also a video broadcasting software, which means you will be able to stream your game video to your fans on YouTube, Ustream, Livestream and other popular community streaming websites. You can also record and share the video on social media websites. This game recording software offers all the basic video editing features such as cropping and adding effects as well. 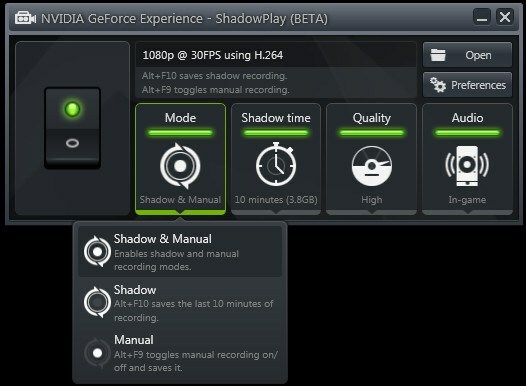 ShadowPlay is another game recording software that offers premium features and costs nothing. In order to decrease load on your CPU, this software uses your Nvidia Geforce GPU to record videos. Although this is a great way to balance load on a PC, it also means you can only use this recording feature if your PC has a compatible Nvidia graphics card and you will need Geforce GTX 600 or above to run the software. This game recording software comes with a Shadow mode that allows you to record last 20 minutes of your game. Alternatively, you can use the standard manual recording mode to record longer videos. ShadowPlay records videos at amazingly high quality, 4K resolution at 130mbps, and you can stream these videos on Twitch or save them on your computer. However, it also means that these videos will take up a lot of space on your computer. 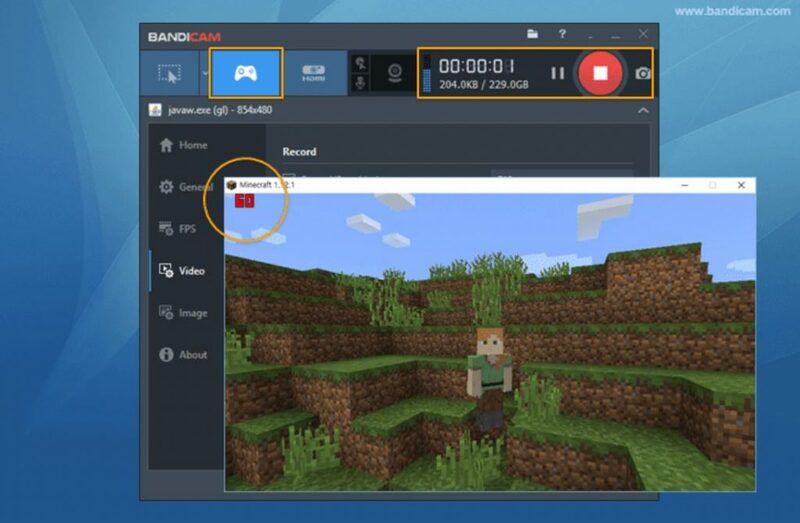 Bandicam is another paid option for those who want to use a basic game recording tool but with excellent performance and professional support. 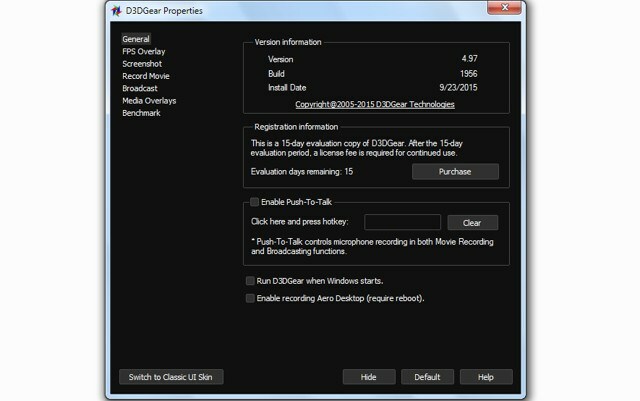 But if you want to use only the basic recording features, then you can download the free version of this software. This recording software records games at customizable frame rates and in 4K ultra HD resolution but unfortunately, there is no option to stream your videos live to the internet. It comes with a smart compression technology to ensure that you get a small size file without losing quality of the recording. With it, you can record videos for 24 hours straight and there is also the options to schedule times to start or stop the recording, and there’s also an option to share your recordings to YouTube with just one click. 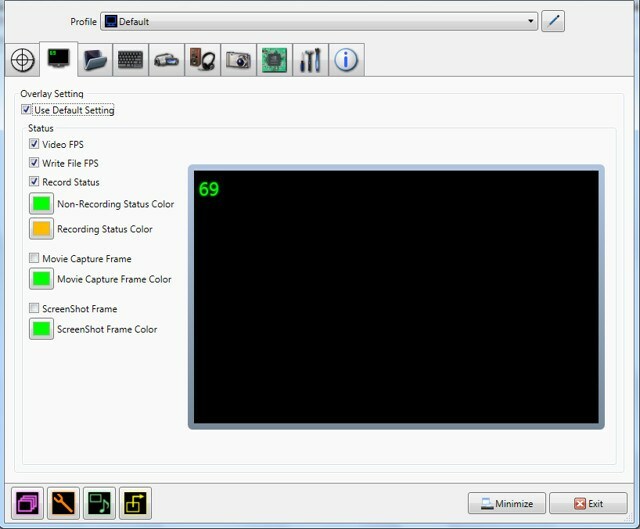 If you are looking for a basic free recording tool to test video recording, then XSlpit Gamecaster has a free version that will do the job. But if you decide to purchase the paid version, you will love all the features that will unlock for you. 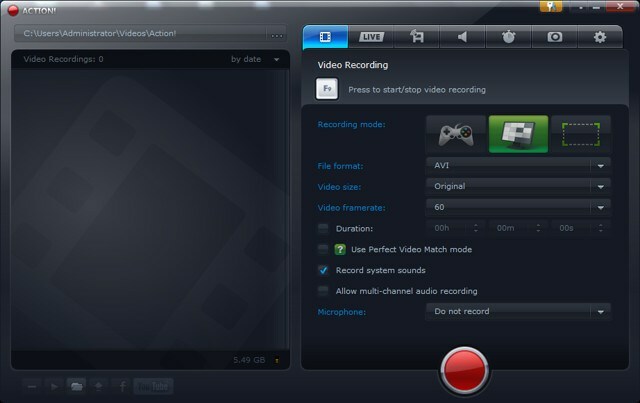 You can stream videos to popular websites or record them to your hard drive. The tool provides a simple user interface to make life easy for beginners. To record a video, you only need to press a button. The recorder supports GPU acceleration, high quality recording, picture-in-picture mode, watermark, annotations, and so on. It comes with a built-in video editor that will make it extremely easy for you if you want to edit something in your recorded videos. The player offers social media integration, which means you can share your videos with the world with just a few clicks. Dxtory is a lightweight game recording software that offers a free basic version and a premium paid version. If you are using the free version of the software, then the output videos will have a watermark that you can remove by buying the premium version. This recording app records lossless videos at very high quality resulting in the files being huge in size and there is no built-in compression tool in the software. The audio settings are amazing as they are capable of recording two sounds at once which can be edited later separately. The Video settings of the software allow you to specify video codecs, frames per second, size and format of the video for easy recording. D3DGear is a great game recording software for beginners as it has a uniquely simple user-interface that doesn’t require any kind of special setup. It’s lightweight and uses built-in compression tool to decrease the size of high quality videos that it records. Moreover, it compresses the videos in real-time which means you can keep recording the videos even if you have less space on your computer. 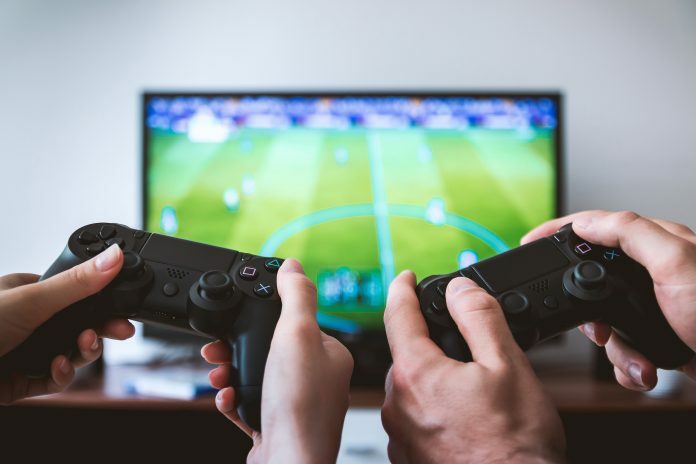 Like other game recording software, it also comes with GPU acceleration and it is able to automatically detect the games and you simply need to press the hotkey to start or stop the recording. It comes with full microphone support and allows you to stream videos on YouTube, Twitch, and other similar services. This tool has a free trial that will expire in 15 days after which you will need to buy the paid version to continue using it. LiteCam is another video recording software that doesn’t eat your system resources and leaves them for the game to use. It records videos in high 720p and 1080p. The recording software also offers many advanced recording and streaming options such as image capture, custom hotkeys, microphone recording, audio balance, multi-channel audio, custom overlays, and so on. You can save video as MP4 or AVI. The program uses ten different video codecs as default and records videos up to 100fps. Fraps is the best game recording software for those who want to use a lightweight tool and don’t need advanced recording and streaming features. Its features may be limited but whatever it offers, its the very best. 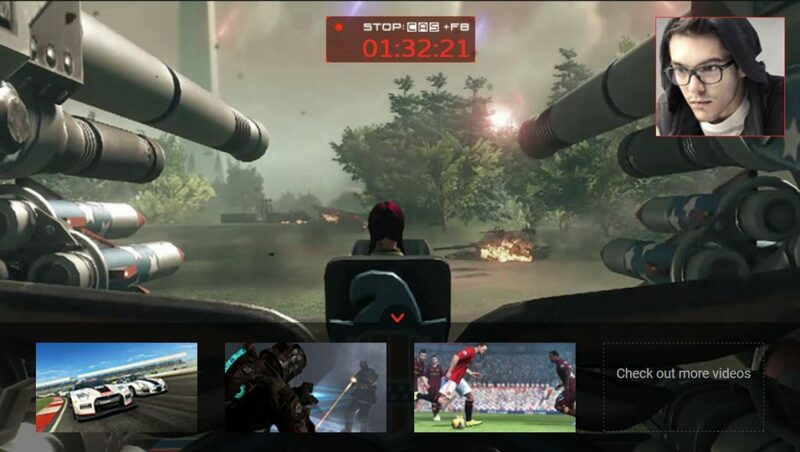 It can also be used as a benchmark tool as it shows the frames per second at the side of the screen while playing the game to specify how smoothly it is working and it also shows the statistics of the performance. You can record videos with Fraps in high resolution at amazingly high frame rate and it is available in two different versions – a free (basic) version and a pro (feature-rich) version. Using one of these game recording software to record your favorite games is a lot of fun. 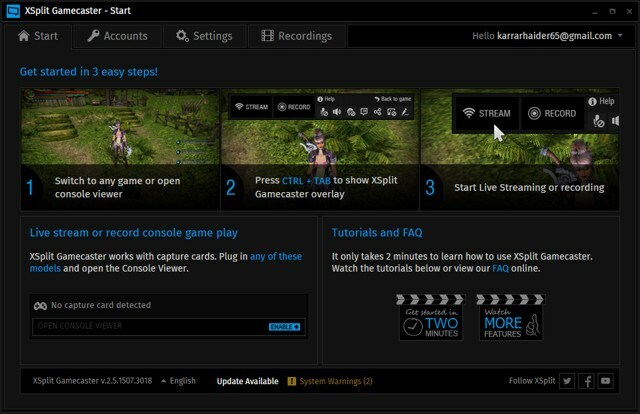 You can record and stream live to thousands of other game fans using a free or a paid game recording software. Just be sure to act responsibly when streaming live to thousands of users on YouTube, Livestream and other similar websites.